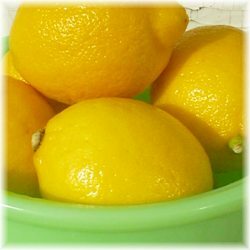 This recipe is courtesy of Jeanne Rose "Kitchen Cosmetics"
Quantity: Makes about 1 to 1 1/2 cups of Lemon Hair Spray. To Make: Chop up the Lemon in a wooden bowl so that you don't lose any of the juice. Add the chopped Lemon to the water in the top of a double boiler. Simmer the mixture until the liquid has been reduced by half. 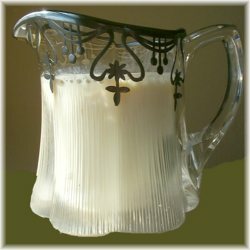 Strain through cheesecloth or fine silk cloth and pour the liquid into a bottle that will fit a pump-type sprayer. A washed and rinsed Windex bottle will do for your spray container. Add 1/2 cup of water to thin the mixture if necessary. To Use: Spray your hair with this mixture whenever necessary. 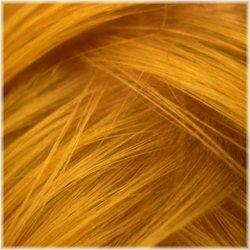 Since it is gentle, with not alcohol or chemical additions, it can be used on children's hair too. Should be made fresh every few days and kept in the fridge between uses. Tip No. 1: One cup of the Lemon Hair Spray can be preserved with 1 oz. or more of Bay Rum. Tip No. 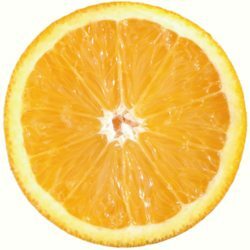 2: Substitute an Orange for the Lemon for dry hair. Quantity: Enough for about 6 months of use. To Make: Simply mix the two oils together and store in the dark or in a small amber or light-proof bottle. To Use: Put a few drops of the oil on your palm, brush your palm against your hairbrush and then brush your hair. Tip: Proper Hair Brushing: Every day, rain or shine, men and women should thoroughly brush the hair. Brushing dislodges dirt and distributes the natural hair oils. Bend at the waist (this increases circulation to the scalp) and massage the scalp with fingertips. Then brush hair starting at the nape of the neck with long easy strokes from nape to ends. Follow each of the brush strokes with your other hand to eliminate static electricity. Brush about 100 strokes in this upside down position. This is guaranteed to give new life to your hair. This recipe is courtesy of Noreen Finneran "Incredible Edible Spa"
To Make: Purée apple in a blender or add applesauce to a small bowl. Mix in the wheat germ to form a paste. To Use: Apply to washed, scrubbed, and steamed face. Allow mask to set for 10-15 minutes. Tone then moisturize. 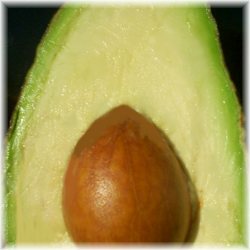 This mask combines avocados, which are rich in Vitamin E, with carrots, which are high in beta-carotene and antioxidants, and cream, which is high in calcium and protein. These ingredients will rebuild skin collagen, improve tone and texture, and fade age spots. 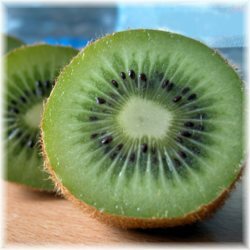 Puree the kiwi fruit in a food processor until liquid. During processing, add yogurt, orange water, almond or apricot oil, and ground almonds. Process until thick and cream like. Add essential and stir to mix. To apply, massage gently over neck, face and décolleté to cleanse. Rinse well. Makes one application. To Make: Bring water to a boil and pour over the Marigold and Chamomile flowers. Cover and set aside. Mash the carrots, add wheat germ oil. 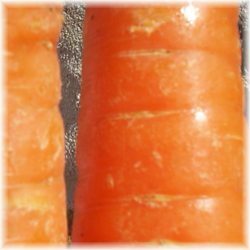 Strain out the liquid from the flowers and add them to the carrot-wheat germ oil. Mix thoroughly and add the lecithin granules. If you have a blender, blend it finely. The texture can be changed with the addition of Almond oil; add a bit to make a smooth cream for dry skin; if you have oily skin add enough Almond oil to blend these disparate ingredients. To Use: Wash face. Steam clean it for a few minutes with one of the steam mixtures. 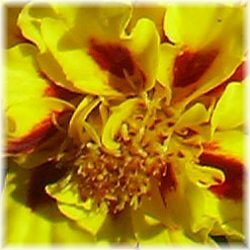 Apply a thick layer of the Marigold Face Mask to the face in smooth upward motions. Rest on a slantboard or rock in a rocking chair, but in any case leave the mask on for 15 minutes. Wipe it off with tissues, rinse with warm water and then close your pores with a refreshing cold water rinse. 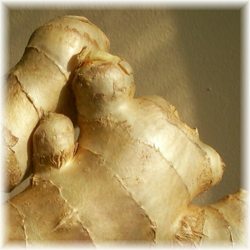 Why: Marigold and Chamomile flower infusion is healing to the tissues; carrots add texture and Vitamin A that may or may not be absorbed through the skin; lecithin is an emulsifying agent in the recipe that is also necessary for healthy tissues; wheat germ oil adds Vitamin E; and the Almond oil is for a creamy consistency. Tip: This mask does not harden but stays relatively moist. It will leave your skin smoother and refreshed, stimulating both facial circulation and muscles. 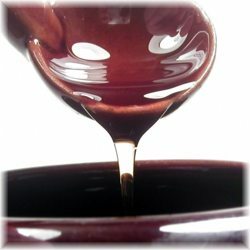 To make: Into a water bath or the top of a double boiler put the oil and the wax. Heat until the wax is dissolved and then remove pot from the fire. Add the Rosewater slowly, beating all the while, and beat until it is cool. At this point add the essence of Rose a drop at a time, if you like. Beat the creamy lotion until cold, pour into a bottle and store away for use. To use: This lotion makes an excellent Rose Cold Cream to remove old grimy dirt or makeup. Simply apply with clean fingertips and remove with fine tissue. Then you might take a teaspoonful of cornmeal in each palm and rub the hands and face well with it. Rinse with warm water and then cold. Pat the remaining fine film of cream into the skin for night-time smoothing. Why: Almond oil and Rosewater as we know is an excellent moisturizing lubricant for normal to dry to sensitive skin; cornmeal is a gentle tonic stimulating to the tissues and acts as a "beauty grain". Tip: Whenever making fine cosmetics always use a porcelain or glass pot. Some beauty experts recommend stainless steel cooking pots but these often leach poisonous heavy metals into the enclosed liquids. 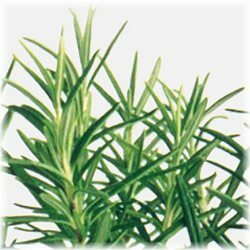 Nonmetal is best for herbs. This recipe is courtesy of Jeanne Rose "Herbs & Things"
Wash, drain, mash, and then strain the juice from 1 peach through muslin or cheesecloth. 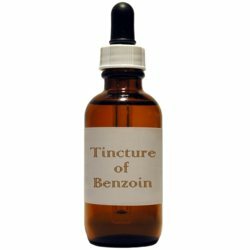 Add to it 4 drops of tincture of benzoin, 2 oz. 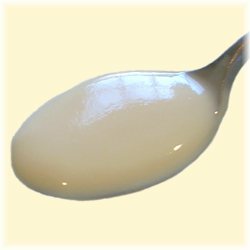 coconut or sweet almond oil, 1 1/2 oz. orange flower water and 1 or 2 drops orange oil. Beat together until it is fluffy and pour into a clean 4 oz container. It will keep for a longer period if you store it in the refrigerator. Use the lotion to moisturize your skin whenever it feels dry. Quantity: Makes enough for about three 4 oz. cream jars. To Make: Heat the beeswax and the lanolin gently in a water bath. Do not let the wax simmer or burn. Remove from heat and add the Almond oil slowly. Add the zinc oxide-Almond oil cream beating the mixture continuously. Add the borax-Rosewater and beat until cool. Add enough oil of Rose to scent the mixture to your liking. Beat until cold with a small wooden spoon. Pour into three 4 oz. cram jars and let sit until solidified. To Use: This makes an excellent everyday cream that can be used under makeup or as a moisturizer. Simply rub gently onto face, hands or throat. As a throat moisturizer the cream is excellent, especially when rubbed in with a large marble or small avocado pit. rub in gentle circular motions while looking up into the sky, thereby stretching and stimulating your neck muscles. 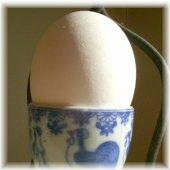 Why: Almond oil replaces necessary body oils; Rosewater is a gentle astringent and moisturizer replacing liquid to the cells and tightening the skin; lanolin is a potent emollient and very much like human oils; borax is a skin softener and will help to produce a very white cream while its disadvantage is that it often adds a grainy texture; zinc oxide is useful for healing reddened, sore or irritated skin. Quantity: Makes 3-8 eye or face washes. 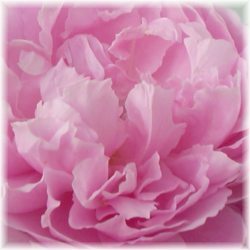 To Make: In a small covered enamel pot, bring the Rosebuds and water to a slow boil, lower the heat, remove the cover and simmer for a minute or two until some of the water boils off. 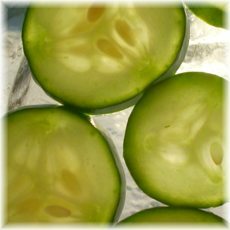 Strain out the liquid into a clean container and refrigerate. When cool, add the Rosewater to 4 oz. of the herbal liquid. You must use this liquid within 3 days. 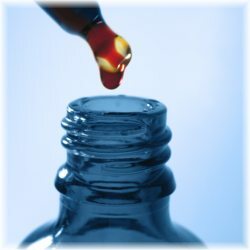 To Use: Rinse your eyes whenever necessary using this fluid with either an eyecup or the hollow of your palm. Tip No. 1: You can also add 1 oz. 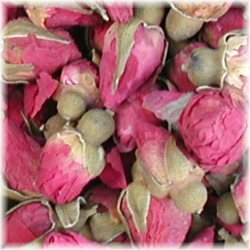 Rosewater directly to 4 oz. of distilled or boiled water, without using the Rosebuds called for above and bottle the liquid. This will not spoil and may be used at your leisure. Tip No. 2: Rosewater may be purchased at any old-fashioned pharmacy, herb or nutrition store and in most fine liquor stores (Rosewater is often used in fine mixed drinks). You might also find it available in Turkish or Middle Eastern specialty shops. In a small mixing bowl, whisk the egg white, then blend in the Yogurt, Jojoba oil, Honey and then the Kaolin clay until it becomes a smooth creamy mixture. 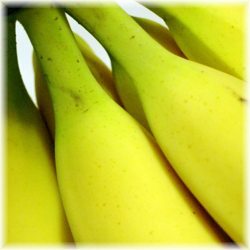 In a separate bowl, mash up the banana until it is smooth, then blend into the first mixture. The best way to use this masque is while sitting in the tub because it is a bit messy. Apply to the entire face, neck and shoulder area. As it sits, keep applying more while you build the masque up as well as massage it in. Let sit for at least 10-15 minutes and then remove with a warm washcloth. Finish with a tonic or hydrosol on a cotton ball to remove any excess product from the skin, then moisturize as usual. This is a wonderful softening and firming treatment in one. In a double-boiler, melt 1/2 tsp. Macadamia Nut oil, 1/2 tsp. 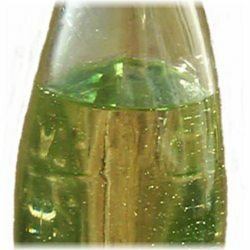 jojoba oil, 1/2 tsp. lanolin and 1/2 tsp. Cocoa butter until it is liquefied. Add 1/2 tsp. 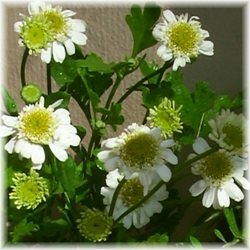 of dried Chamomile flowers and stir gently for about 10 minutes. Strain the mixture with a very fine sieve into a small Pyrex ramekin and clean the area of the double boiler where you had the mixture (Dry the area well). Pour the new strained mixture back into the double boiler and reheat. Add another 1/2 tsp. of lanolin and 1/2 tsp. of beeswax shavings. Heat and stir until liquefied completely. Remove from the heat and pour into a 1/2 oz. amber or cobalt container. This is enough for personal use. To use on dry hands, or to give as gifts, you'll want to double or triple this recipe. This is a very soothing formula that has real "staying" power. This is a Honey Almond scrub with a Peppermint twist! This product will exfoliate your skin to help make it smoother and softer. In a 4 oz cobalt or amber glass jar (preferably) pour in the Almond meal and Jojoba oil. Stir well. Then mix in the Honey and Peppermint essential oil. Keep stirring until the mixture is completely mixed. To use: Cleanse skin first. Apply about a teaspoon amount of the scrub to a moistened face. Mix with water to make it a more fluid application (do not add water to the jar). 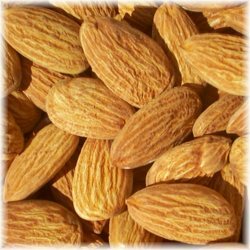 Scrub the skin gently, letting the almond meal do the work (harder pressure will only damage capillaries!). Massage every square inch of skin except the delicate eye tissue. Remove with a warm washcloth. Be careful to remove every bit of the scrub. Apply a tonic or hydrosol with a cotton ball to remove any excess product. Finish by applying your moisturizer. Use about once a week to help keep the skin soft and smooth and relieve surface tension. This mask treatment will help to soften and firm your skin at the same time. Place 3 tablespoons of plain yogurt into a small dish. Add the powdered Kelp, stir well. Add the honey and stir until all three ingredients are blended into a smooth consistency. To use: Cleanse face, apply the mask all over face, neck and shoulder area. 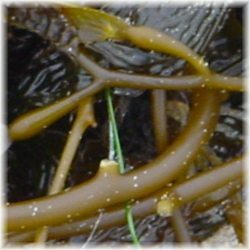 Massage lightly (the Kelp acts as beauty grains to promote exfoliation). Leave on for about 5-10 minutes. Remove with a warm washcloth. Use a tonic or hydrosol on a cotton ball for complete removal. Apply your moisturizer as usual. Kelp contains iodine, so those with iodine allergies should not use this mask. If you have visited spas and resorts in exotic locales such as the Pacific Rim, Bali, Hawaii, and Tahiti, you've probably seen a facialist select and mash fresh fruit in front of you for a fresh-on-the spot enzyme mask. It's easy to recreate this mask at home -- we've found a Balinese mask for you which will leave your face fresh and glowing. 1. Prepare the mask. 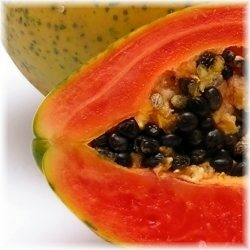 Cut the papaya in half and scoop out the seeds. Scoop out the papaya fruit and mash it well to eliminate lumps in the mask. Beat the egg until it is frothy. Combine that with the papaya. Add the pumpkin to the egg/papaya mixture and whip together. You can also mix the ingredients in the blender or a food processor for an extra smooth mask. 2. Prepare your face. Wash with your daily cleanser and remove all residual makeup on your skin. Rinse with warm water. It's very important to have clean skin to ensure you get maximum benefits from the facial. 3. Apply the Mask. Cover your entire face, being careful to avoid the immediate eye area. If you have sensitive skin, test the mixture on your hand before spreading it on your face. 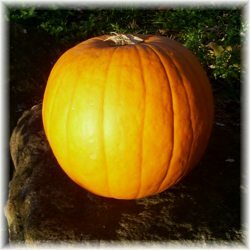 You'll feel some tingling as the enzymes in the pumpkin go to work immediately -- gently exfoliating your top layer of skin. It works like a scrub without being abrasive to your skin. Leave the mask on for 10 minutes. 4. Rinse Off Mask. After you've relaxed for ten minutes it's time to rinse. The mask is fairly thick -- head for the kitchen sink. 5. Apply Toner & Moisturizer. Wash, drain, and mash 4-5 large strawberries. Squeeze out the juice and strain through muslin or cheesecloth. Heat the beeswax and the oils together in a double boiler until the wax is melted. Remove from the heat and add the juice quickly. Beat the mixture until it is fluffy. Add the benzoin and beat until it is cool. You must beat the mixture until it cools or else it will separate. 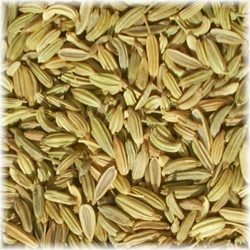 Mix the thyme and fennel seed in a bowl and cover with boiling water. Add lemon juice and steep for 15 minutes. 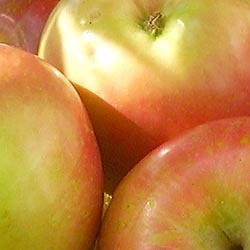 Strain the infusion and store the liquid in a jar, in the refrigerator. To Make: Add the two ingredients together and apply to a clean, moist face. To Use: Pat this mask onto the skin for a moisturizing, penetrating, hydrating, soothing application that will also help to clear up skin problems. Quantity: Makes about 12 beautifying hand treatments. To Make: Mix the herbs and Almond meal together and store away. When your hands need care, take about 2 tablespoons of the herbal mixture and mix in a small bowl with a bit of the morning's egg (before it is cooked of course), the Benzoin, and enough Honey to make a thick but non-drippy goo. To Use: About once a month when your hands get dry and chapped or red and rough, pat a thick layer of the goo all over your hands, massaging around each and every finger and then ask someone to put on the gloves for you. Go to bed. Why: During the night the Almond will smooth, the Comfrey heal, the Benzoin protect, the Parsley medicate and the Honey will soothe all those problems that your hands have accumulated during the month. Kid gloves are important because they do not absorb the mixture, whereas with cotton gloves the cotton itself absorbs, leaving very little for your hands. The gloves can be washed by hand or in the washing machine after each use. To Make: Use canned (nothing added), or slightly cooked pumpkin or carrots. Drain, and purée in a blender. Pour into a bowl with the yogurt and honey. To Use: Draw a warm bath. Lather your face and body with the yogurt mask. Sink into a warm bath and soak for 10-20 minutes. Rinse in the shower, tone, and apply a light moisturizer. 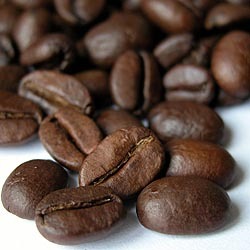 To Make: Brew a fresh pot of coffee. Enjoy a cup, if you like. Put grounds (and salt) in a small bowl. Use grounds within 20 minutes of brewing before oxidation occurs. To Use: Scrub mixture over entire body while in the shower. Rinse. Tone. Moisturize. To Make: Make a thick infusion of Peppermint, strain out the herb and to 1/2 cup of the liquid add the Lemon juice. Mix together. To Use: While studying or working, apply this liquid with cotton pads to the elbows; let it dry and make another application. Repeat applications 3 or 4 times. Do not remove. Why: The Lemon juice acts as a bleach, the Mint as a soothing aromatic astringent. To Make: Mix together and store away for use. To Use: At bath time you may, 1) put a large handful of the mixed herbs into a muslin bag and drop the bag in the hot tub; 2) drop the herbs directly into the water; 3) put the herbs into a perforated metal ball available in the cooking section of department stores and often used in the cooking of rice; 4) make an infusion of herbs and strain the liquid into the tub. Why: In this bath mixture, Orange peel soothes the skin, Orange flowers impart fragrance, Lemon peel is an astringent, Comfrey leaves are a healing emollient and astringent, Camomile is soothing and a healer, and Almond meal adds a slippery feel. Tip: There are several kinds of metal balls used in cooking rice. Some have chains attached that can be hung from the edge of pot or tub. One small 3" diameter ball I purchased came equipped with a cork float that was perfect in my tub. Now I can always keep track of my bath ball. To Make: Squeeze orange juice and pulp into a bowl and add the cornmeal. Mix into a paste. To Use: Apply onto freshly washed face and body. Scrub gently for 2-3 minutes. Rinse, tone, moisturize. 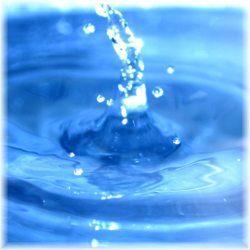 Use this wash to relieve red and inflamed hands and feet. 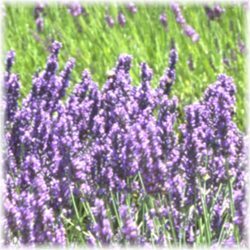 In a saucepan, combine lavender flowers, sage and water. Simmer, covered, on low heat for 20 minutes. Strain mixture through cheesecloth and let cool. Discard the solids, retain the liquid. Add Lavender Oil, shake to emulsify, and then apply to hands and feet with a soft wash cloth or cotton pads. Repeat as necessary, or desired. Mix together all ingredients, massage into hands and feet, rinse, and pat dry. 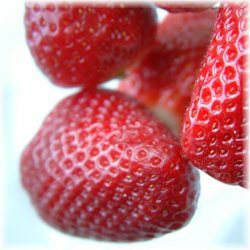 Strawberries contain a natural fruit acid which aids in exfoliation. To Make: Draw a warm bath. Add the Rose petals (or any type of pesticide-free edible flower) or Rose Water and Coconut Milk. To Use: Slip in tub and relax for 10-15 minutes. Rinse, tone, then moisturize. Looking for Ingredients for this DIY Recipe? 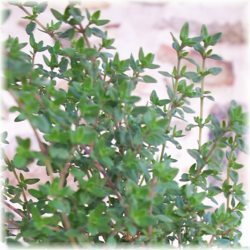 Try Mountain Rose for Herbs, Essential Oils, Carrier Oils & More! 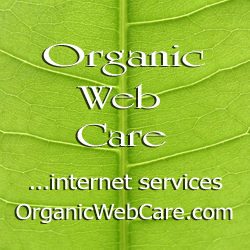 New from Organic Web Care! Visit our All Natural Spa Store! These recipes are the intellectual property of the creators and may not be duplicated without their permission. We wish to thank Jeanne Rose, Spa Index, and the National Honey Board for generously allowing us to share their recipes with you. For more information or to ask permission to use their recipes beyond your own personal use, please visit their web sites. 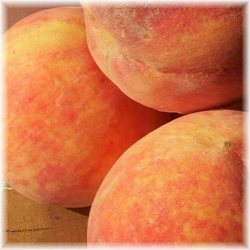 We welcome you to use our SharAmbrosia recipes. We do ask however that you give credit and add a link to SharAmbrosia.com. Thank you. 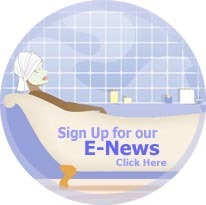 Come see our new sister site... the "all natural health" web site! It is important to note that while all of these recipes contain natural ingredients, even natural ingredients can cause allergic reactions in some individuals. It is imperative that you test any substance on a small area of skin (preferably on the inner arm area) before using in the recommended way. If any redness, swelling or sensitivity occurs within 20-30 minutes, discontinue use immediately and remove the substance well. Please contact your physician if you experience any serious complications. Please be advised that you are using these beauty recipes at your own risk. SharAmbrosia cannot be held liable for any reaction that you encounter while using any of these beauty recipes. None of these formulations are meant to treat or diagnose any medical condition. The information on this page has not been evaluated by the FDA. 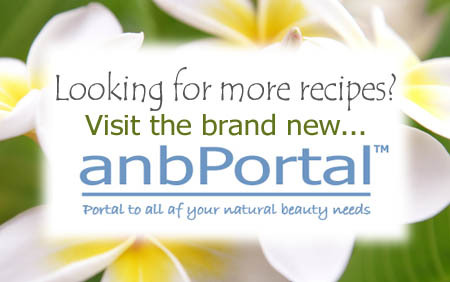 Looking for some ingredients for your homemade beauty recipes? Your new domain includes email, a website & many more perks! Copyright © SharAmbrosia 2003-2014. All rights reserved.